Santa Eve. Yes, Santa. We believe. We do. The kids write conversational letters to Santa. 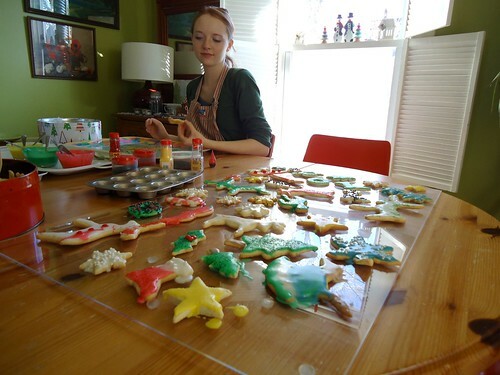 They bake and decorate cookies that they leave for Santa. Santa, for this Secular Pagan family, is the Holy King, Green Man, Herne The Hunter and Odin. Santa is the spirit of Yuletide. And so today was about preparing the house, food, and gifts, in anticipation of Santa's visit. It was about practicing abundance. Practicing joy, living with intention to give kindness, and love. 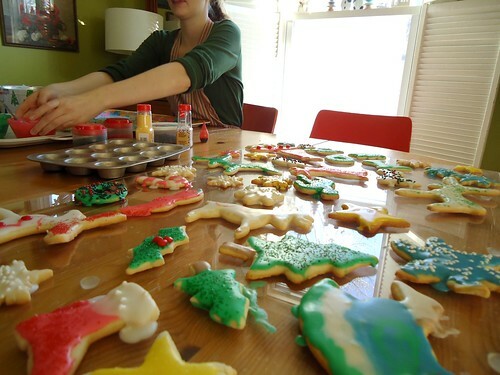 Just a few things were left to do, one of which was decorating the sugar cookies. The kids always organize this task. 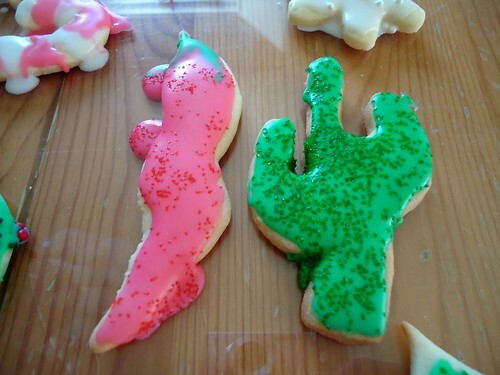 They bake the cookies and then they do nearly all the decorating. And how their decorating has evolved over the years, too! 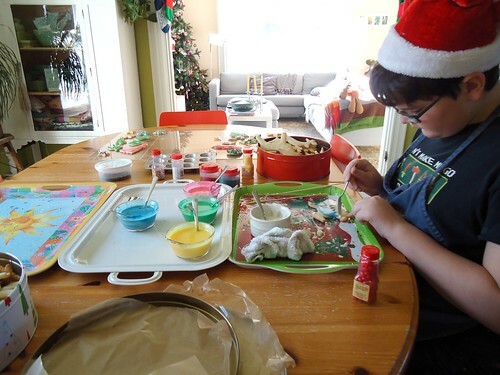 When I asked them what they try to be mindful of while decorating, they answered simplicity. It's true. 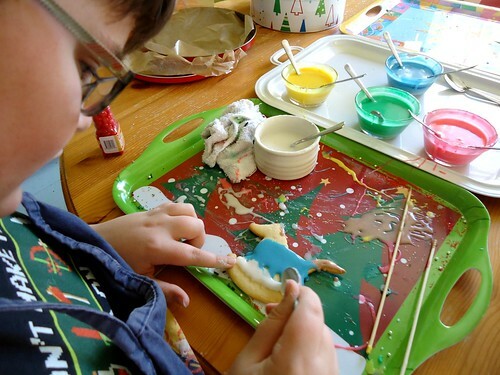 We see far fewer cookies dotted with piles of red hots, made fancy by a tie dye icing. Gone are purple bears and coated in red and green sprinkles. As long as they don't mind baking and decorating my favorites: a cactus and chili pepper that Alex and I got in Sedona, Arizona while on our honeymoon, I'm pleased. Even then, we were thinking about making Yule together. Of course, they are mindful too, of creating extra special cookies, the just so cookies, that will sit alongside the carrots and greens for the reindeer. Santa ate the red hot-loaded cookies and will probably eat these pared down, simple cookies, too. But cookies do go on a plate, with a glass of ice cold milk beside, for Santa is on his way.